With less than three months until the start of summer, the season of short sleeves and swimmers is fast approaching. The Spring Into Action Challenge will help bring you out of the winter hibernation, take you outside your comfort zone and set some serious goals. Spring is renewal time (especially in the garden with the new blooms), so it’s the perfect time to allow a healthier new you to emerge. Eight weeks may sound like a fairly short period of time, but with focus and determination, you can make a dramatic difference in how you look and how you feel. 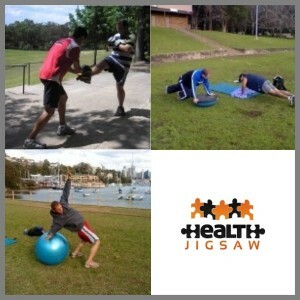 Current and previous clients of Health Jigsaw are entitled to a $25 discount. If you introduce a friend and he or she joins into this Challenge, you will receive a $10 discount. Bronze Challenge – I am keen to have a personalised training and nutrition manual written for me and have the motivation to follow it for 8 weeks myself. Silver Challenge – I am keen to have a personalised training and nutrition manual written for me and I would benefit from some virtual guidance and motivation every 2 weeks. Gold Challenge – I am keen to have a personalised training and nutrition manual written for me and I would benefit from some one-on-one guidance and motivation every 2 weeks. Platinum Challenge – I am keen to have a personalised training and nutrition manual written for me and I would benefit from one-on-one guidance and motivation weekly. Still Not Sure Which Option to Choose? Contact us and let’s have a chat. Anytime you want but ideally before the end of September so you will be fit and healthy by the time summer arrives. What do the health assessments involve? With hard work and dedication, you will see improvements in your before and after health assessment reports. You will be responsible for doing your own assessment and submitting the results to us and we will prepare the reports for you. The assessment will include your front and side photos, weight, measurements, a push-up test, a plank hold test, a wall sit test and a cardio test that you can do without any equipment (such as how far you can run/walk in 45 minutes, how many times you can run up a hill or steps in 20 minutes). Do I need a clearance from my doctor? You will be required to complete a Pre-Activity Questionnaire before you start the Challenge. Based on your answers to some of the questions, you may need to check with your doctor first. For example, if you have a a heart condition or have suffered a stroke, if you are pregnant or had a baby in the last 6 months. Contact us and we will email you all the details.